The tracking number is of vital importance when it comes to e-commerce shipment. 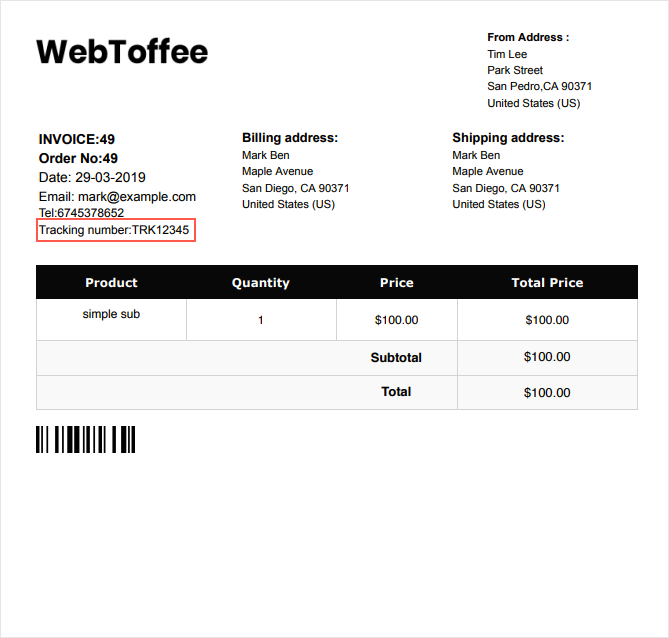 WooCommerce PDF Invoices, Packing Slips, Delivery Notes & Shipping Labels plugin enables you to include the tracking number in the invoice and other labels. 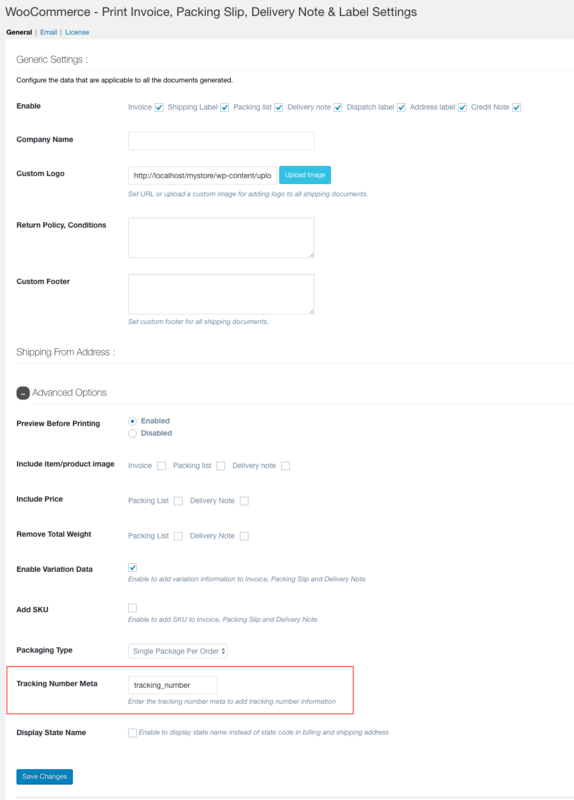 Usually, the shipment tracking plugin used by your site stores the tracking information in the order meta with the meta key. This meta key containing the tracking number has to be linked with our plugin for it to be included in the deliverables. 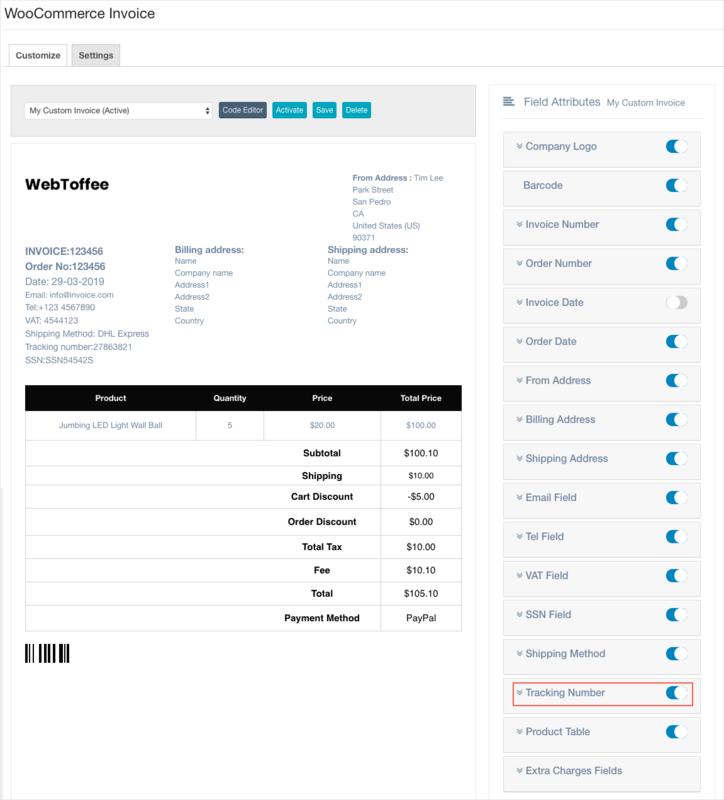 Specify the meta key as it is in the database in the Tracking number meta field of the Invoice/Pack List > General Settings. Note: The tracking number meta key varies depending upon the shipping/tracking services implemented in your site. The meta key can be obtained directly from your database or you can refer to the concerned tracking information provider’s documentation.